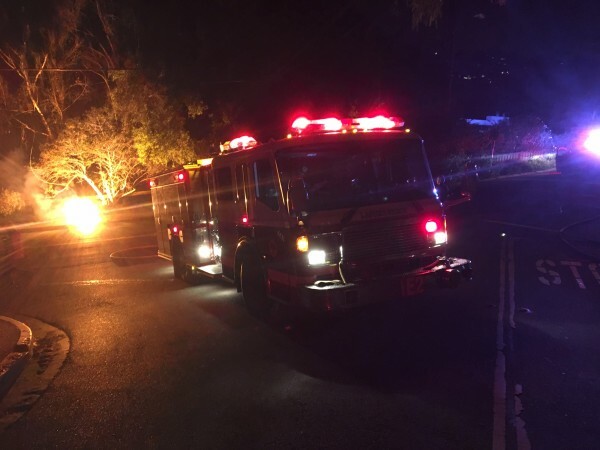 At least 300 homes in the Bluebird Canyon area lost power for several hours Tuesday night and fire fighters were called to the area to douse a brush fire ignited by a downed power line, Fire Chief Jeff LaTendresse said Wednesday, Oct. 28. Four fire engines dispatched to the scene secured the power, but traffic was temporarily disrupted for safety reasons, he said. About 315 customers were affected by the blackout, the Southern California Edison website reported about 9:20 p.m. Tuesday, Oct. 27. Power was restored in several hours, LaTendresse said.